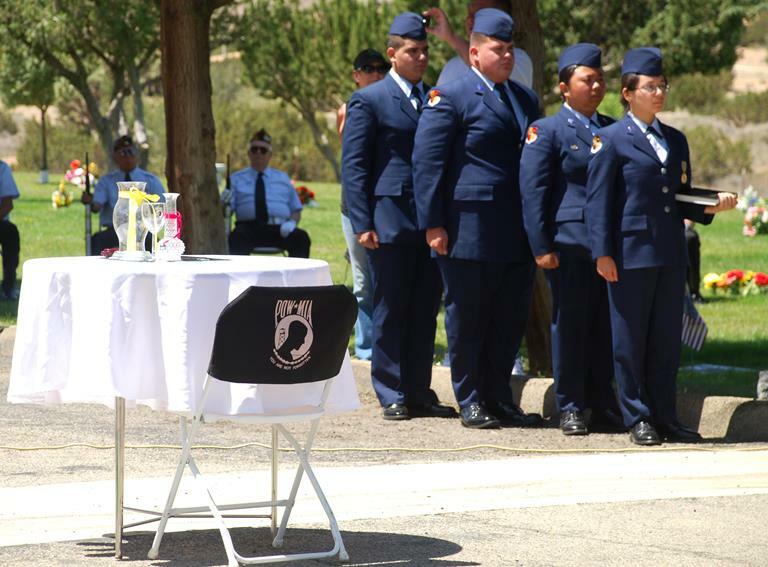 PALMDALE – The Antelope Valley Service Organization Association (AVSOA) will hold its annual Memorial Day Ceremony on Monday, May 27 at 11 a.m. at Desert Lawn Memorial Park, 2200 East Avenue S in Palmdale. Palmdale Mayor Jim Ledford will offer welcoming remarks and introduce the dignitaries. Daniel W. Kirmel will serve as Master of Ceremonies. Local organizations participating in the Memorial Day event are Highland High School Air Force JROTC, VFW Post #3552, Daughters of the American Revolution, American Legion Post #348, Elks Lodge #2027, Disabled American Veterans #39, American Legion #348, VFW 3552 Ladies Auxiliary, Marine Corps League, A.V. Detachment #930 and the Color Guard. Remarks will be made by; Viola Lawrence, Registrar, Daughters of the American Revolution; Ken Branam, Commander American Legion Post 348; Barry Toler, Past Exalted Ruler Elks Lodge 2027; Terry Hopper, Commander VFW Post 3552, as well as others. The ceremony will include the raising of the colors, invocation and benediction by VFW Post 3552 Chaplain Gary Bassett, Pledge of Allegiance, National Anthem, Table of Honor Ceremony, Two Bell Ceremony, laying of wreaths, and a Salute to Veterans. The ceremony will conclude with taps. The Memorial Day Ceremony is free and open to the public. The AVSOA comprises more than 30 area service clubs and encourages the community to participate in their events. Each year, the AVSOA implements services for Memorial Day, Flag Day POW-MIA Day, and Veterans Day. Immediately following the ceremony, there will be an observance held at the old Palmdale Cemetery, located at 20th Street East. For more information, call 661-267-5904. 1 comment for "Memorial Day event set to honor fallen veterans"
I think the young adults look FANTASTIC….ESPECIALLY MY BABY BROTHER MICHAEL MARTINEZ…..! !